Let's be honest, it's hard to go wrong with pizza. I love every variation except for one ugly shrimp pizza episode many years ago...moving along... Lately, and for some inexplicable reason, I've been craving pesto. (warmer weather?) So, this week I went all gourmet-ish and combined the two to create this basil pesto pizza. Oh. My. Word. 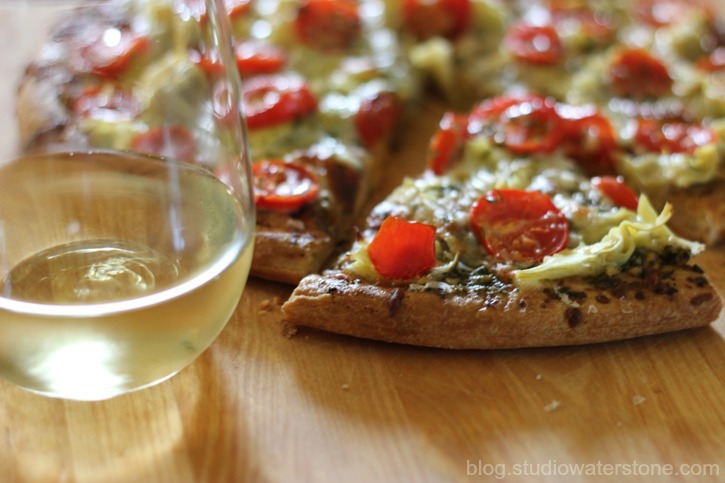 Basil Pesto Pizza with Artichokes, Tomatoes & Cheese - my new pizza obsession. *Note* Be sure to spread the olive oil of the pesto all the way to the edge of the pizza to give the crust added crispy flavor. Ohhh, that looks so good. You won't believe this, but I made my first pizza from scratch, last weekend. Hubby gave it a thumbs up so perhaps I will be brave enough to try yours too. Yum! I love pesto on my pizza! That looks delish! 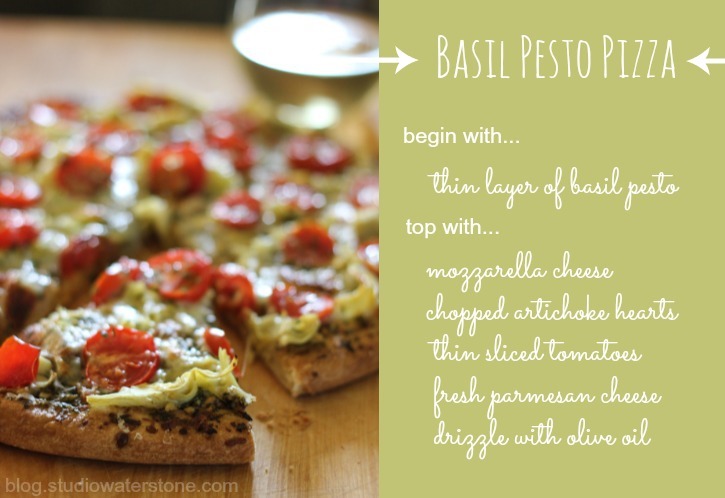 I much prefer pesto to pizza sauce for homemade pizza. yum Lori... this looks delicious!